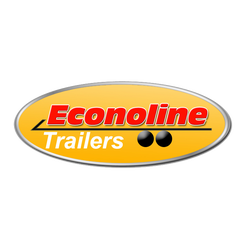 Econoline manufactures a wide range of trailers to fit your individual needs. From Dump Trailers, Flatbed Trailers, Tilt Trailers, and Dovetail Trailers, Econoline has all of your hauling needs covered. As a company, Econoline is dedicated to manufacturing the most versatile and dependable equipment trailers on the market. They pride themselves on utilizing the highest quality materials, latest technology, and providing unparalleled customer service.